about this book: Marriages of convenience are alive and going strong in this book series. 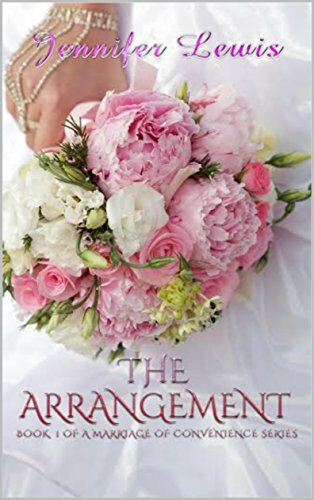 The first of many books, The Arrangement tells the story of Deacon and Ashlyn. Both have something to gain and something to lose from an alliance. Follow them as they navigate the ups and downs of love. Ashlyn just wants to get through graduate school; Deacon has a secret reason for marrying he isn’t sharing. They stumble through a fake marriage, an explosive attraction and surprises neither of them could have anticipated. Neither of them knows what true love looks like until they get to know the other. I am a lover of romance and wanted to write to celebrate it. I love the thought of people starting as strangers and ending in love. Through a world of characters whose connections and love for one another shine, I hope to entertain and make you fall a little in love yourself! Travel with Ashlyn and Deacon as they make connections, family and friends. Look for their stories to be told soon!